Visitor numbers increased by 32% year-on-year on day one at The Meetings Show 2014, which is taking place this week at Olympia London. The 32% increase accounts for trade floor visitors and excludes hosted buyers. The increase has been calculated from raw data. The Meetings Show will be ABC audited and official figures will be released in due course. Paul Kennedy, strategic business advisor to The Meetings Show, told C&IT: "We will look to increase hosted buyer numbers by three figures next year. This year we had 10,000 pre-scheduled appointments, which I'm delighted with. We are already in discussions with some great exhibitors for next year. "We will release the audited visitor number as we always do." 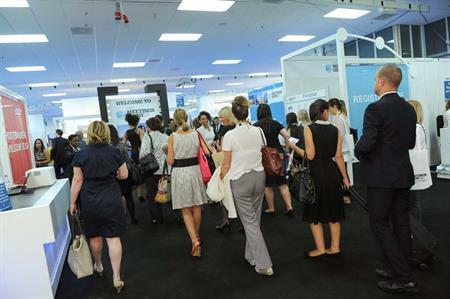 The Meetings Show 2014, which ends today, opened on Tuesday with a 62% increase in registered hosted buyers.